Are you interested to see what is happening at the EYCE events? If you are active in Instagram, don’t forget to tag us, when attending our events! 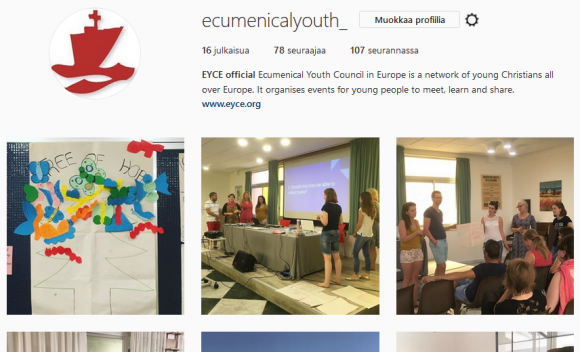 In addition we are posting and following #eyce and #ecumenicalyouth, so you should use them also! Remember our Facebook page too – that is a good place to follow especially our upcoming activities and #WeAreEurope! campaign, which can be found on Instagram on it’s own account @weareeuropeeycecampaign.